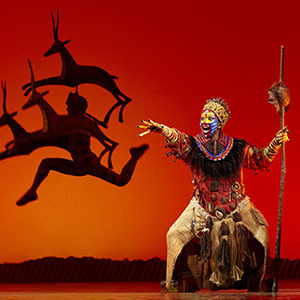 Set against the majesty of the Serengeti Plains and to the evocative rhythms of Africa, Disney's multi award-winning musical will redefine your expectations of theatre. 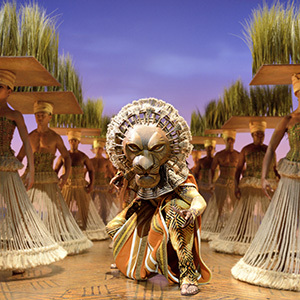 Brilliantly reimagined by acclaimed director Julie Taymor, Disney's beloved film has been transformed into a spectacular theatrical experience that explodes with glorious colours, stunning effects and enchanting music. 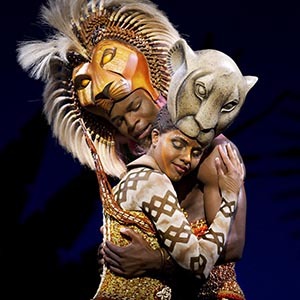 At its heart is the powerful and moving story of Simba -the epic adventure of his journey from wide-eyed cub to his destined role as King of the Pridelands. £1.25 restoration levy (collected on behalf of the theatre) appears as part of the face value. AGE RESTRICTION: Children under 3 years of age are not permitted to enter the Lyceum Theatre. The Lion King is recommended for ages 6 and up. All persons aged 16 or under must be accompanied by an adult and may not sit on their own within the auditorium. All persons entering the theatre, regardless of age, must have a ticket.